Austin made Trulia’s list of best housing markets for millennials, Business Insider reports. 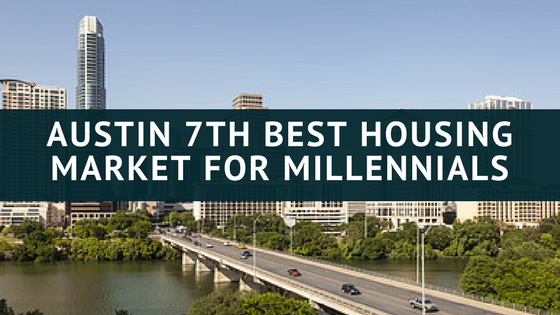 Austin grabbed the 7th spot on their list of biggest markets poised for growth. Trulia looked at several key metrics: job growth, vacancy rates, the affordability of a starter-home, online listing searches, and the percentage of people living there that are younger than 35. Austin’s job growth was 2.3%, the share of income needed to buy a home is 47.5% and 26.3% of Austin’s population is under 35. New to Austin? A great way to figure out where you want to live is to rent an apartment before you buy! Apartment Specialists knows the city and the market here better than anyone. Give us a call at 512-241-1111!